Makita is a highly respected name when it comes to power tools. For decades, it’s been a well-known brand around the world. If you’re looking for a replacement to your old circular saw or buying your first one, you won’t be disappointed to trust a Makita product. You might want to try the Makita Circular Saw 5007MG. It’s designed to make your work easier, thanks to a number of clever features. Large, rubberized levers, for example, make one-handed adjustments wonderfully easy to do. The number and ruler markings on the saw’s base and depth are also easy to read, allowing you to make more precise measurements and cuts. With its light weight and ergonomic features, working with the Makita 5007MG is perfect for both beginners and professionals. Makita has always generally enjoyed good will among its customers. 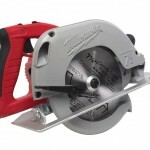 This is a company that prides itself in manufacturing high quality products and the 5007MG circular saw is no exception. Amazon reviews clearly show this. Out of 39 customers who left feedback for this product, 33 gave generous ratings of 4 stars and above, making it earn an impressive average rating of 4.4 out of 5 stars. Happy customers are pleased with its power and performance. According to these reviewers, the saw starts smoothly and continues to cut smoothly, even through tough jobs. Its overall design was also well-praised. Reviewers who have had Makita circular saws before commented that this model was definitely more ergonomic—from the rubber grips to the improved adjustment levers, it seems that Makita truly listened to their customers and came up with a model that was more enjoyable to use. Another feature that customers appreciated was the reinforced power cord. It looks tough and doesn’t look like it’s going to fray even after years of abuse. Not everyone was too crazy over the 5007MG though. There was an interesting trend with the few customers who gave ratings of 3 stars and lower. Most of them seem to have received units with a faulty guard. They claim that the guard often gets stuck or hung up, which of course, gets in the way of their cutting. 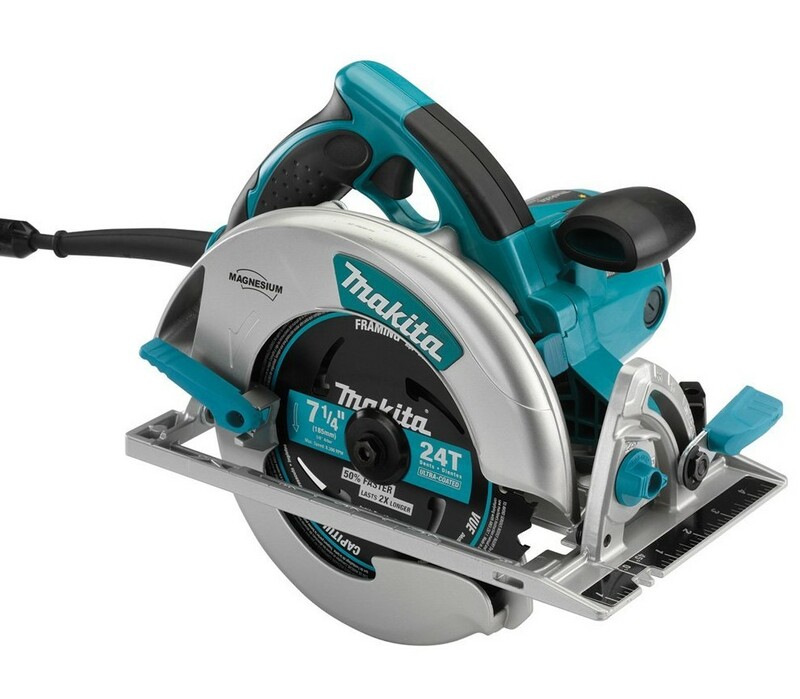 All things considered, we think that the Makita Circular Saw 5007MG is a great model. 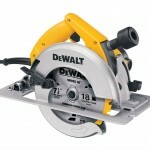 We feel sorry for the customers who received faulty units, but if you look at the majority of reviews, this circular saw is generally well-liked. It’s powerful and it cuts smoothly. This model also shows that Makita definitely thinks about user comfort. By introducing more ergonomic features and a more lightweight design, they have created a saw that even beginners will enjoy working with.